Who doesn't love a clown? 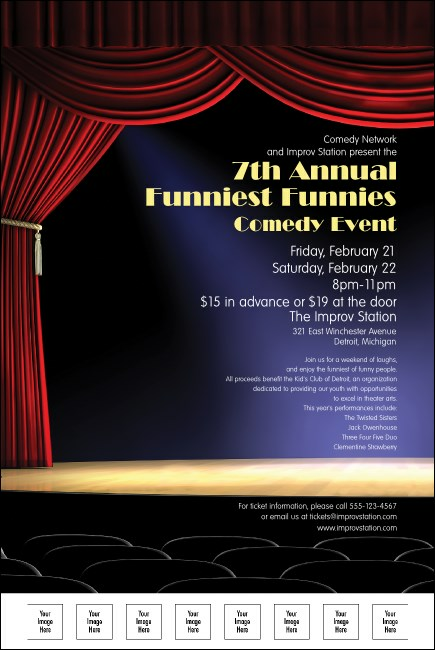 When you're ready to laugh, share the joy with the Stand Up Comedy Event Kit, featuring this matching poster of a stage just waiting to be filled with comedians. With space to upload eight of your own custom images, this template lets you customize and define your own event. Stand up for your organization with Event Kits from TicketPrinting.com.